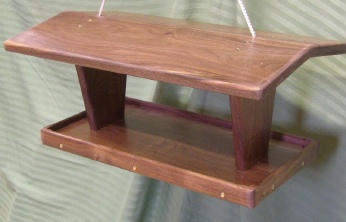 We Craft The Finest Quality Cedar Feeders - Click the photos to view. This page is being reserved for future introductions. Meanwhile, please visit our current products as shown below. Hurley-Byrd Bird Feeders - An era comes to an end. 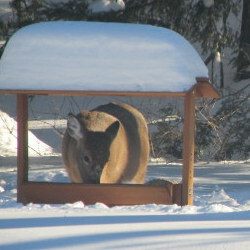 will be closing out the traditional bird feeder line. It was a hard choice for us to make but the right choice. that cannot be purchased anywhere else will receive our full attention. 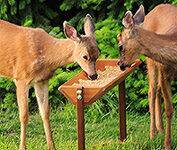 an expanded line of deer feeder and much more. 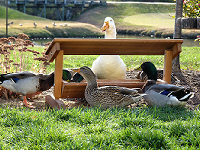 Here at Hurley-Byrd, we don't just sell feeders, we BUILD them. Hurley-Byrd is here for You! creatures with a Hurley-Byrd Feeder. We guarantee you'll be satisfied! 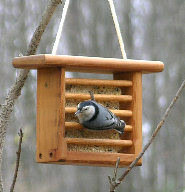 We will continue to craft and positively expand our line of Fly Through bird feeders. Unlike Hopper style feeders, a really good fly-through is very hard to find. We will be expanding upon this line as time goes. 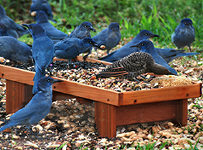 the bird feeder line (In Whole) as our customer's number one purchases.